The monthly Polish Hill Community meeting is Tuesday, October 4th at 6:30pm! 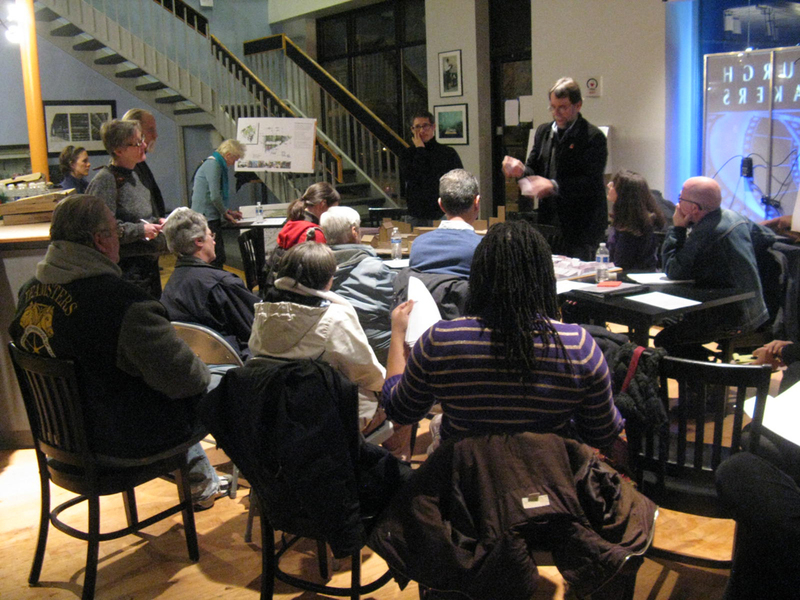 The PHCA monthly community meetings cover key activities, are where City and local officials come to tell Polish Hill residents about things that will affect the neighborhood, or to provide information on opportunities or resources. The meetings are also a place for residents to provide suggestions and feedback. Meetings are held on the first Tuesday of each month at 6:30 p.m. on the lower level of the West Penn Recreation Center, 450 30th Street. Architects Pfaffmann + Associates presented the preliminary drawings for the Fire Site Development at the September 2 community meeting. The slideshow of images included building plans, elevations, and projections of what the buildings will look in context with the rest of the surrounding buildings on Brereton and Dobson streets. 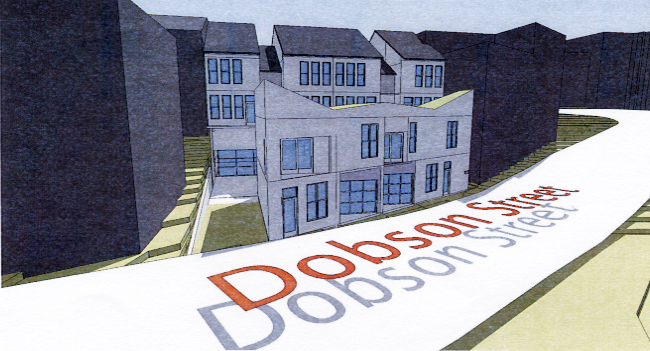 The development includes two for-sale units on Dobson Street and rental units on Brereton that will convert to for-sale buildings several years after construction. These drawings are not exactly what the buildings will look like; still to be determined are details like siding, colors, trim, and plantings. Factors in the design process included the limitations of the small, steep site, the need for off-street parking, and input from Polish Hill residents. Now, the developer will begin working to secure financing for the project. Next are approvals, permits, and site preparation. Although there is already interest from people who would like to rent or buy, there will be no pre-sales until the actual construction begins, probably next summer. 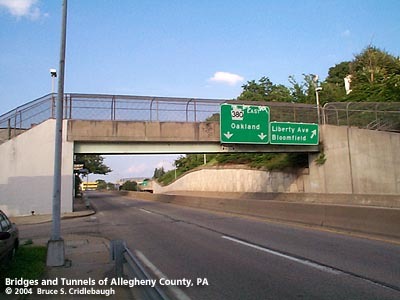 See the article from the Summer-Fall Polish Hill Voice for more details on the plans. The final community meeting for the Brereton Dobson Fire Site Development took place on Tuesday, March 11. 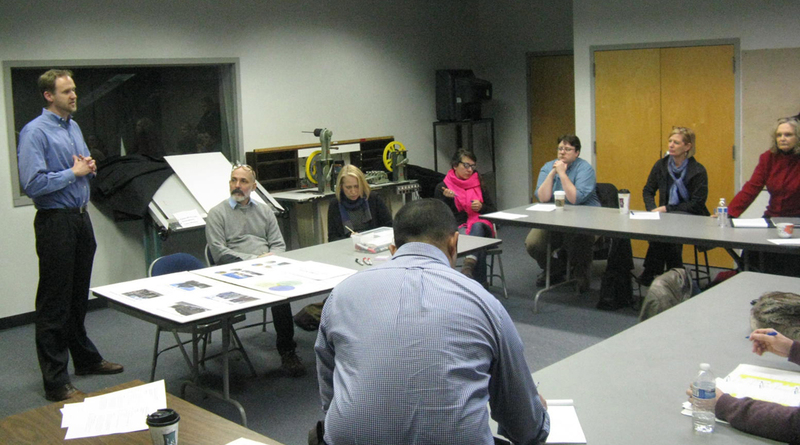 At the meeting, Fire Site steering committee members explained how community input from the two previous meetings and two workshops resulted in a proposal that is a hybrid of different suggestions from residents . 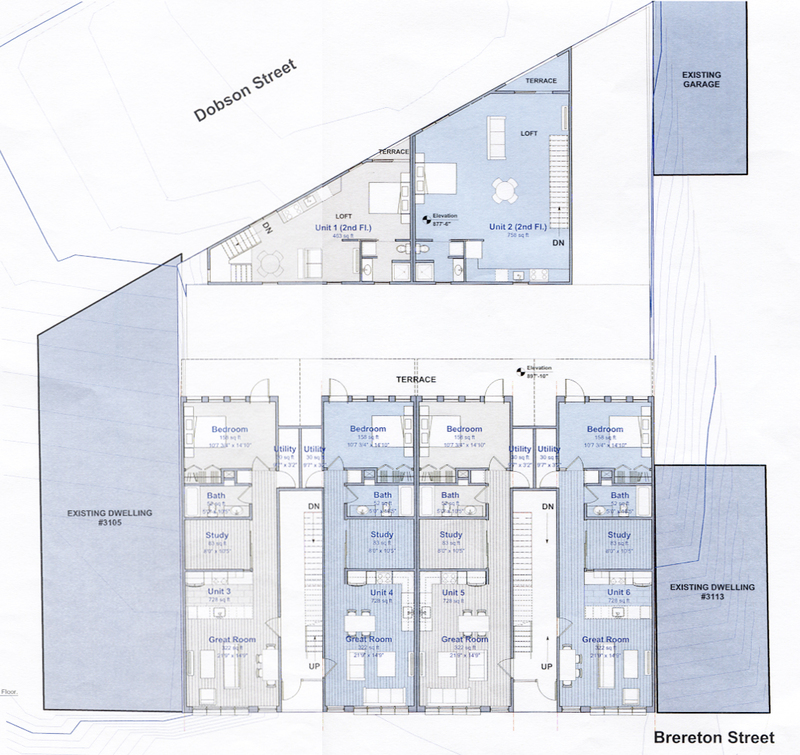 Attendees gave feedback on sketches and 3D models depicting what the units could look like with 3, 4, 6 or 8 rental micro units on Brereton Street and 2 for-sale live/work units on Dobson Street. Attendees then participated in breakout sessions that discussed density/ownership structure and look and feel of the development. The meeting wrapped up with a full group community feedback session. At the meeting, the architect shared a sketch booklet of slides that showed how community input was narrowed down to several different density options. 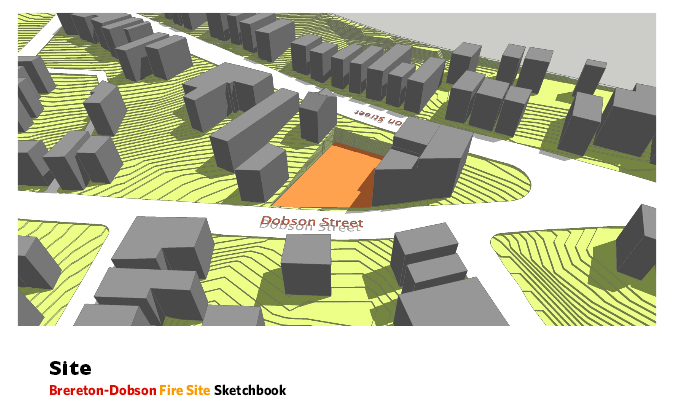 Those who were not able to attend the meeting can click here to view the Brereton Dobson Fire Site Sketch Booklet. The Fire Site Steering Committee is currently reviewing all the input from the Polish Hill Community Plan, market study, interviews with Polish Hill residents, creative Polish Hill identity workshop, three community meetings, online feedback and other input. 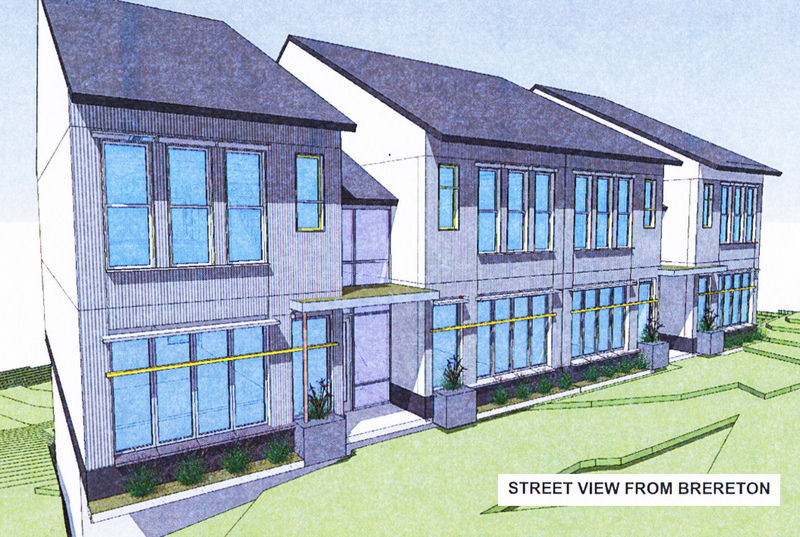 The Steering Committee will make a recommendation to the property owners (Pittsburgh Housing Development Corporation) on whether or not to proceed with this architect/developer team and their sketches. 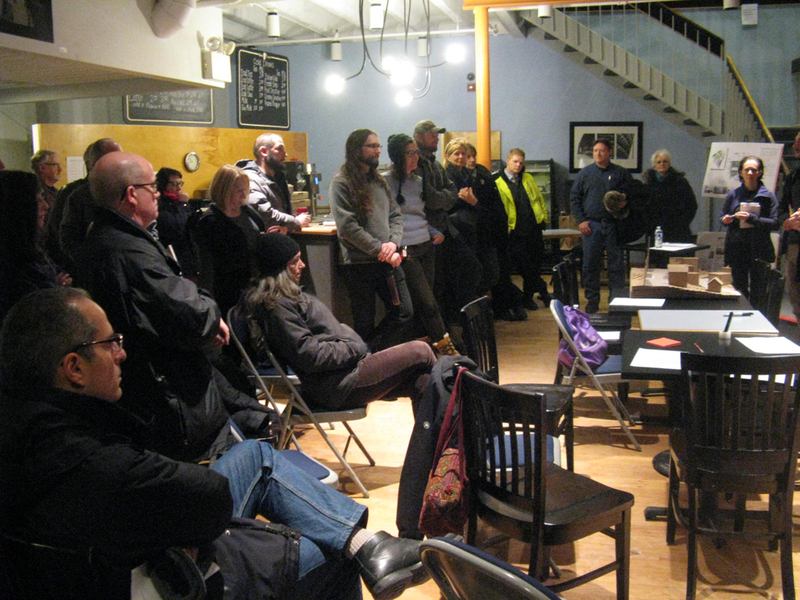 Over thirty people turned out on a frigid evening for the second public meeting about the fire site development. After a brief introduction, the attendees were divided into three sections, cycling between three spaces for smaller discussion groups. One discussion was about site design, where attendees learned about the physical layout of the fire site and what could be built there. 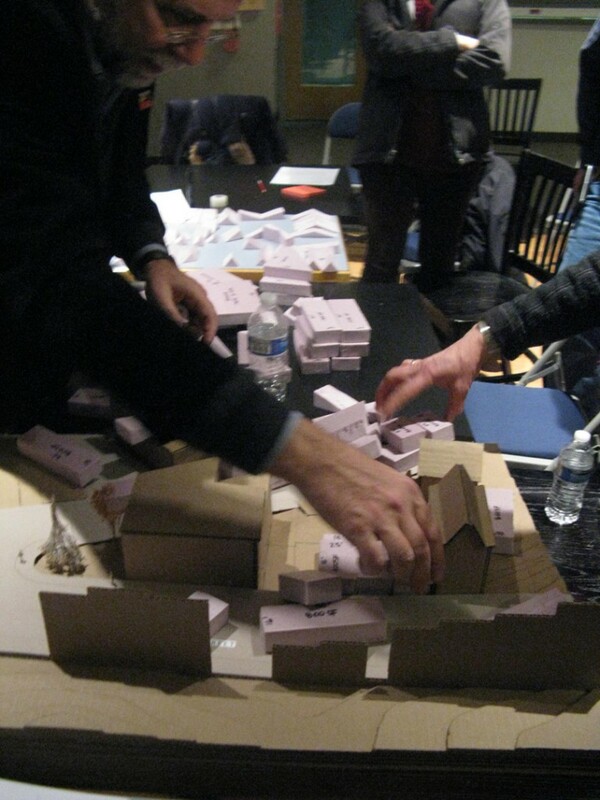 Architects Pfaffmann + Associates provided a scale model of the site and foam shapes representing possible unit sizes. 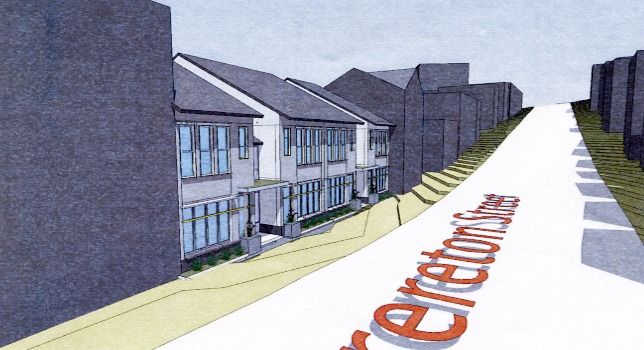 Residents could see what different configurations might look like on the site. 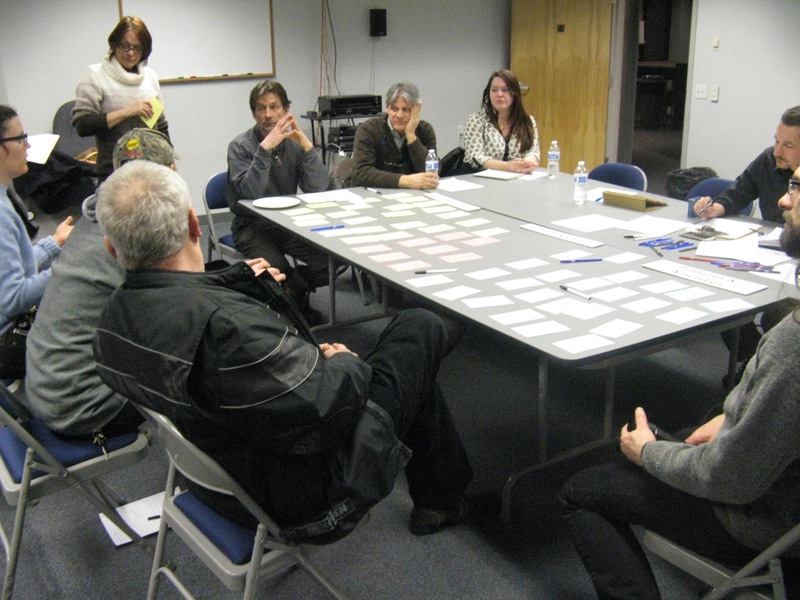 In the Users and Uses discussion, the subject was who might be the potential residents, and what kinds of commercial development might be possible. Residents could also talk about what kinds of features or amenities they’d like to see as part of the development. 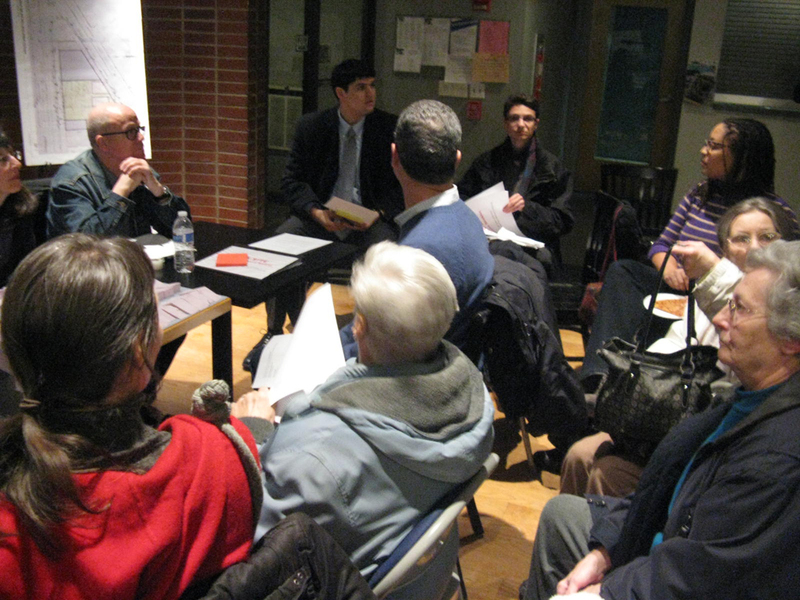 In the Economics discussion, residents learned about the underlying economics of developing the site — the financial realities that would have a bearing on what could be built. Some people wished that a little grocery store or laundry would open at the site. As they stated at the first public meeting, the developer and architect told attendees that if prospective business owners are interested in the site, this is the time to come forward and make a commitment. Some people wanted rental units or live/work spaces; others wanted to see just three single family homes on the site. Others wanted some public green space. The architects noted the opinions and feedback. After the attendees had gone through all three discussions, they reassembled for a final group discussion. Now, the architects will take the input they received at this meeting and create drawings of various design possibilities for the site. 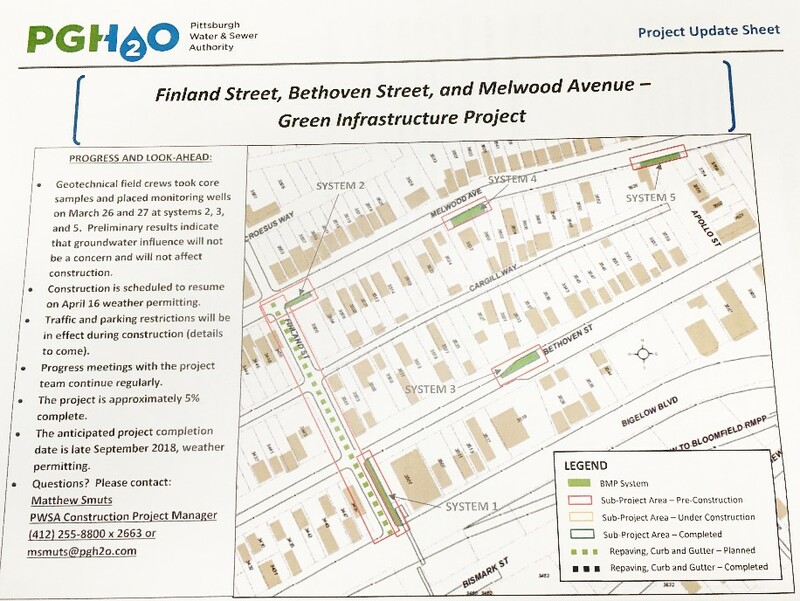 At the next public meeting, which will take place sometime in March, they will present the drawings and seek another round of community feedback. 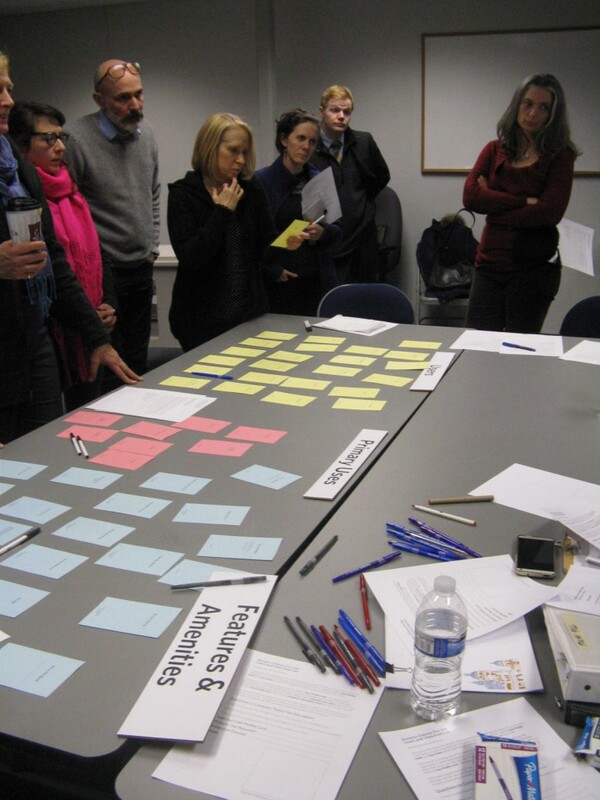 For another viewpoint on the meeting, read Diana Nelson-Jones’ article in the Post-Gazette.